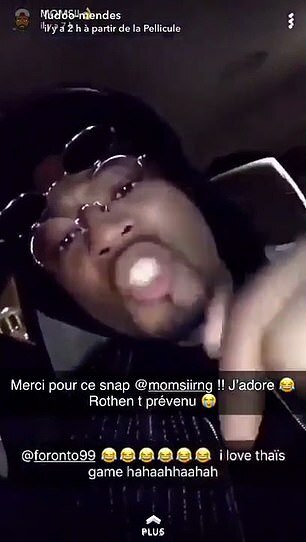 Paris Saint-Germain could try and sue Patrice Evra after he labelled the club’s players ‘f****ts’ and ‘p*****s’ in an astonishing X-rated homophobic rant on social media. 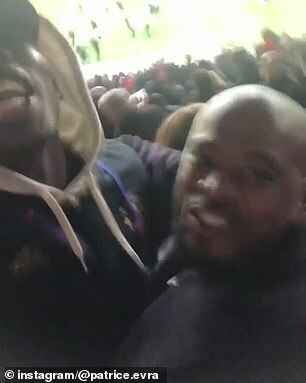 The former Manchester United defender celebrated wildly in the stands when his old side knocked PSG out of the Champions League earlier this month, and he has now taken his celebrations further with an explicit Snapchat rant. Filmed in a taxi in Paris on Sunday, ESPN report that Evra can be heard saying in French: ‘Here it is Manchester. Stop supporting teams who will never win. ‘Paris Saint-Germain firmly condemns the homophobic slurs uttered by Patrice Evra against the club, its representatives and its former player (Jerome Rothen). ‘Even my cousin who is in the front [of the car] is p***** off. Paris, you are some f****ts, some f****ts, I’m telling you. 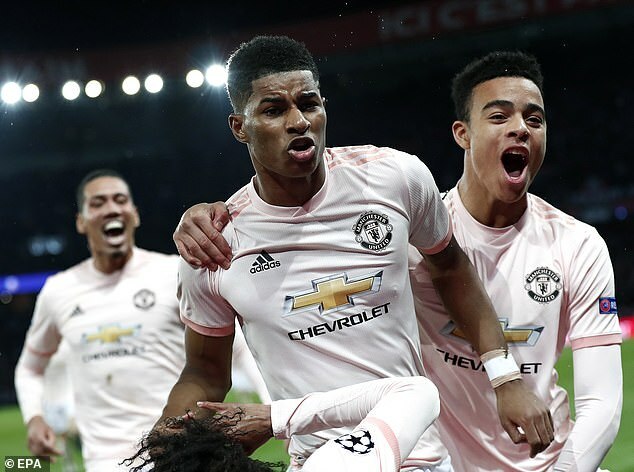 We [United] put our D team [against PSG] and we did you. 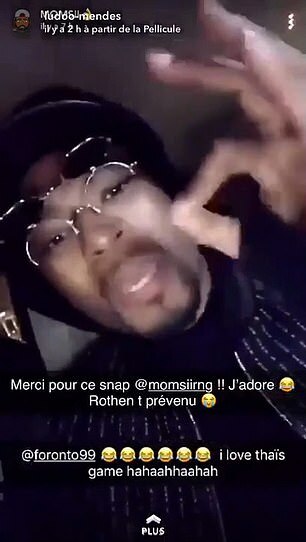 At the end of Sunday’s Snapchat video – which appeared to be filmed on the account of singer Momsii – Evra once again takes aim at Rothen and reminds him: ‘I will f***ing slap you in the face’. 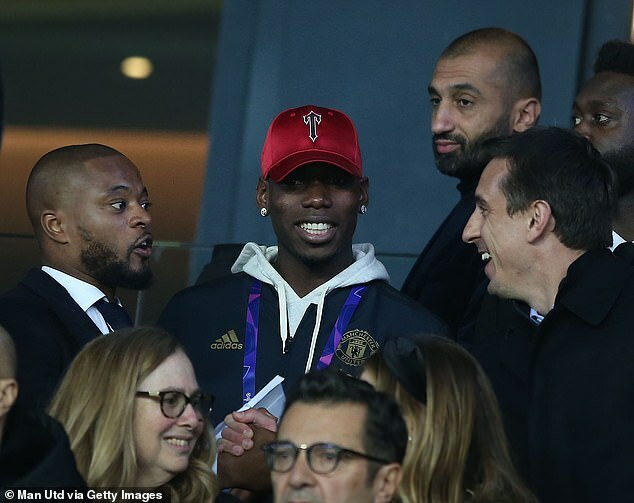 It is understood that Evra, who has been without a club since leaving West Ham last year, was in Paris to see Paul Pogba’s brother Florentin open his new barber shop. 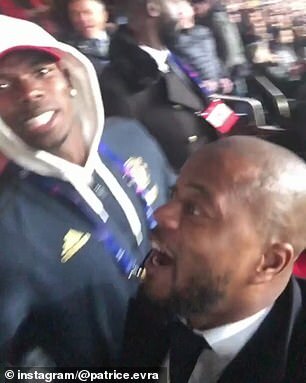 PSG were unhappy at Evra’s initial celebrations inside the Parc des Princes, where he was filmed in the stands with United midfielder Pogba, and they are now even more furious at his actions. The club even released a statement on Tuesday, which reads: ‘Paris Saint-Germain firmly condemns the homophobic slurs uttered by Patrice Evra against the club, its representatives and its former player (Jerome Rothen). Evra played for PSG during his youth career, between 1997 and 1998, before moving on to Marsala in Italy where he signed a professional deal.